Everyone loves a nano. This was my first aquarium - started about 3 years ago as a planted betta tank seen here sadly I lost the betta - so the tank has been reborn in Salt. The algae has been in place for about a week now and I am looking forward to seeing it grow in. 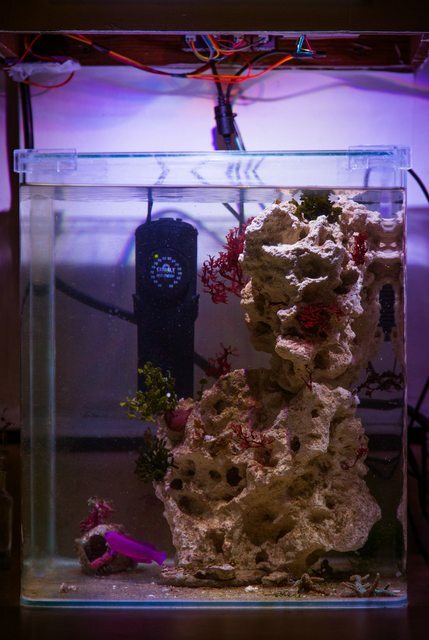 There is almost no filtration and I plan on using a few filter feeders and water changes for maintenance. Still needs some polish on the wiring. We have a tiny... Vintage apartment in beacon hill, Boston - so exposed pipes and crooked corners are just a way of life. The goal was to keep it cheap - the light cost $50 to make and is roughly 50 watts of led juice when fully powered. 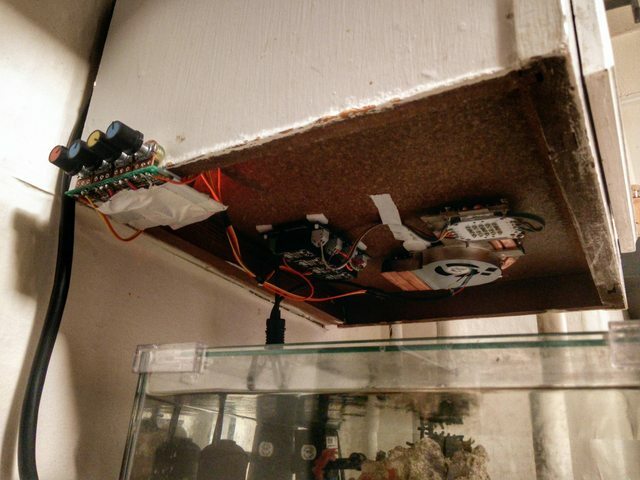 It has 4 independent channels (RB + 6k white + red/cyan + windex/uv) and is arduino mini controlled. The arduino cycles through 2 day / night periods per 24 hours and fades all channels in and out proportionally to the values set by the potentiometers. Ps: before the fuzz shows up - the Orchid dotty back has been sentenced to time in the kitchen tank after a killing spree in the big reef. 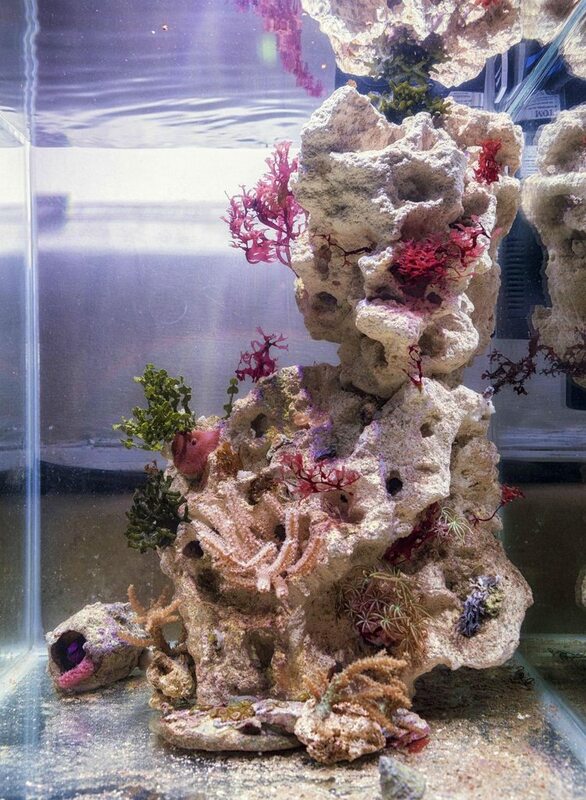 I am in the process of selling her and do not expect that she will be a permanent fixture in this 8g tank. Last edited by R_Mc; 02/26/2015 at 06:19 AM. There is something to be said for simplicity. 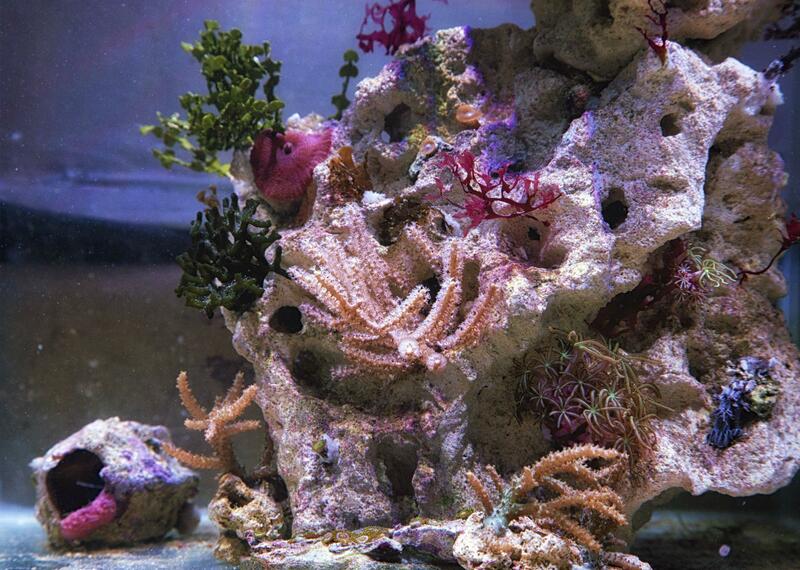 Algae are interesting and it's nice to see them on display rather than banished to a refugium. 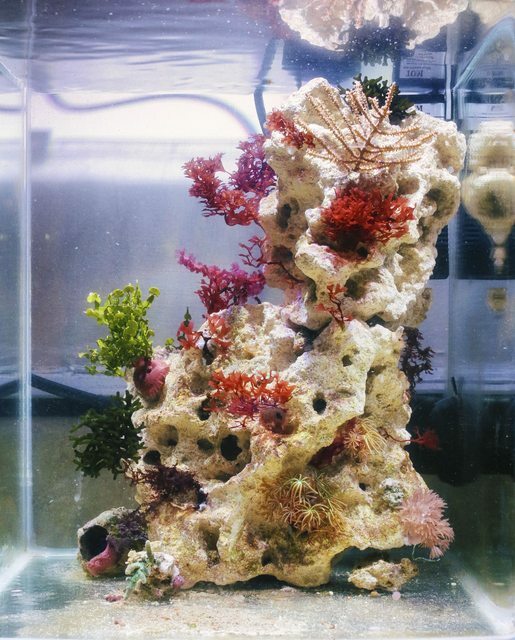 What I would like is a low growing carpeting macro algae that could spread out along the bottom of the tank. After a little gorgonian addition today from Docstach the tank is looking alive! 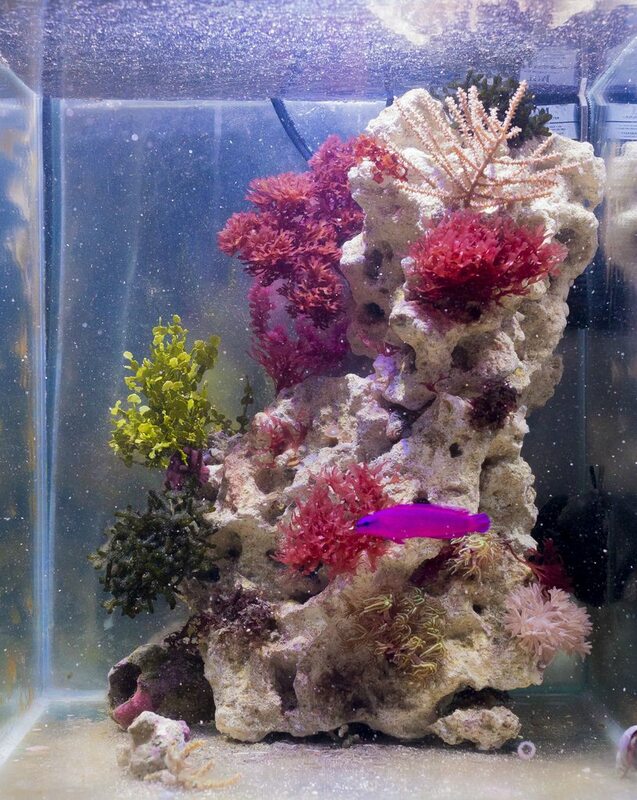 This tank was started as a jail cell for Ms. Jaoquin - our murderous Orchid Dottyback. No reason she can't serve her sentence in paradise. She is probably happier now with the whole place to herself. They stay tiny. The tank is looking good. 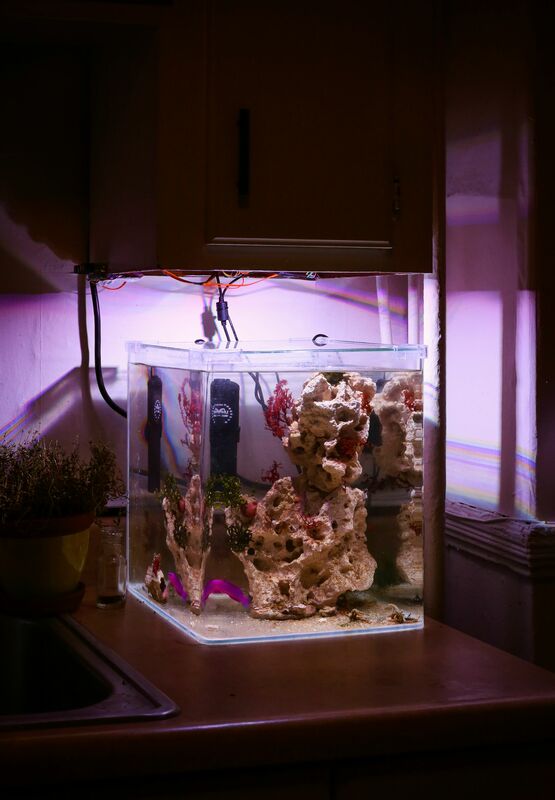 An interesting note on this tank is that I run 2 light cycles per day. Essentially, the tank experiences 2 days for every 1 earth day. Sorry to hear about the loss of the betta, but beautiful re-purposing of the tank! 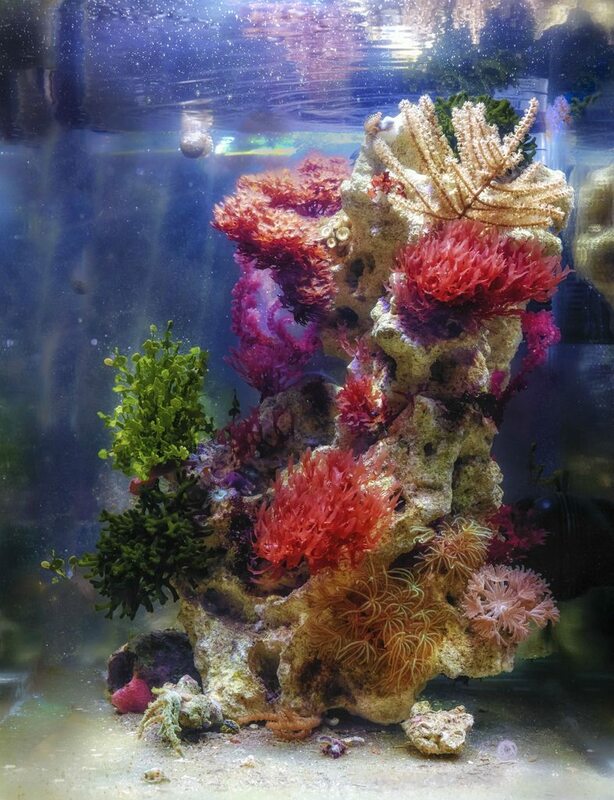 I would love to get a variety of macro algae into my 29gal and I am looking for sources to acquire from. Did you get all of yours from other members? 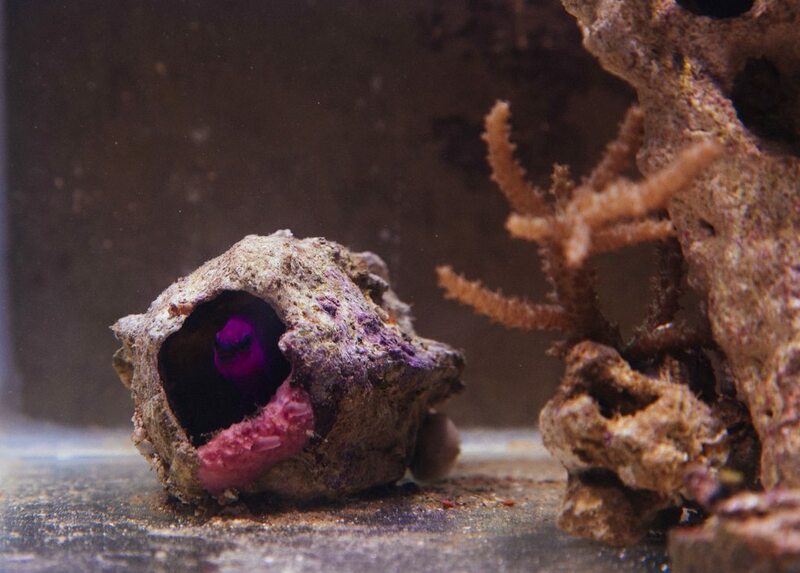 I giggled really hard at your comment about the "vintage apartment and exposed wires" and harder at the image of the naughty dottyback "in the doghouse". I'd love to one day have the knowledge to build my own lighting like you have. I can imagine the dottyback being there forever, really. It looks pretty happy in there. And wow. Those growths. Haven't done a water change in a month but should soon. Feeding reef chili only. How are you handling white balance to get pictures that accurate (seeming)?